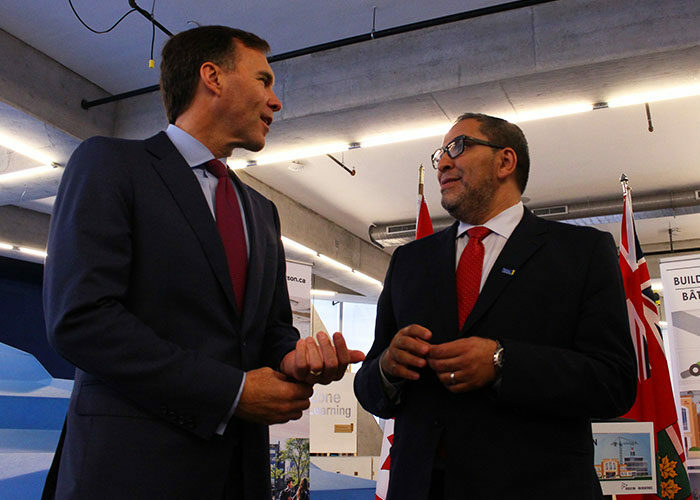 The provincial government is changing how it funds post-secondary institutions, leading Ryerson to put a focus on recruiting international students. Since Ontario universities can charge international student significantly more tuition fees and funding will no longer be based on higher domestic student enrolment, Ryerson has an incentive to enrol more international students, experts say. “There’s no incentive to decrease international students, just an incentive to decrease domestic students” said Alex Usher, president of Higher Education Strategy Associates. Traditionally, the Ontario government has utilized an enrolment-based funding model for the province’s universities and colleges. But the province is slowly implementing a funding model not exclusively tied to the number of students enrolled at a post-secondary institution. “There were years where we were paid for students coming in and, if our enrolment increased the next year, then our grant would increase,” said Ryerson chief financial officer Joanne McKee. “Now they’re moving into this ‘corridor’ where universities get tuition and grant but that grant is now going to be a more fixed number into the future,” said McKee. The Ontario government first proposed a new funding model in 2016. Enrolling more international students could be Ryerson’s answer to the soon-to-be-implemented corridor funding model. According to University registrar representative Charmaine Hack, Ryerson started focusing on increased international student enrolment in 2014-2015. 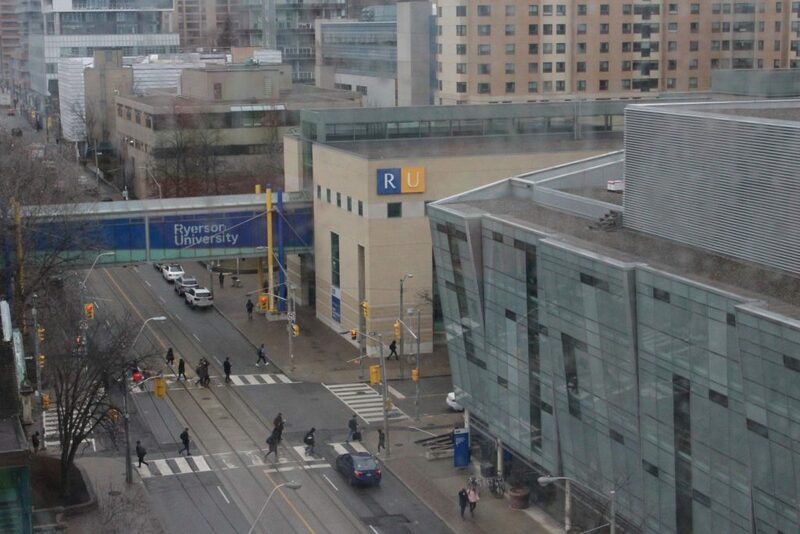 Currently, international students comprise six per cent of Ryerson’s total enrolment numbers. First-year international student enrolment increased by 86 per cent in 2015 and by 43 per cent in 2016. The total number of international students at Ryerson increased by about 38 per cent in 2016. Unlike domestic students, international students are not provincially funded. And while the government may cap tuition rates for Canadian students, tuition rates for international students are not regulated by the province. International undergraduate students at Ryerson can pay up to $27,869 in tuition, compared to the $11,681 maximum domestic undergraduate students pay. “Moving to a corridor model means (the province) is not going to fund institutions to increase their numbers. They’re trying (to) put a floor under institutions that are worried about losing students,” said Usher. And since funding will no longer be enrolment-based, Usher says this will put “a cap” on institutions where the number of students has been growing year-to-year, like Ryerson. The direct result will be a greater incentive to take on international students since they aren’t part of the funding cap, he added. The provincial government expects the number 18- to 22-year-olds in Ontario to shrink by 2020, directly affecting enrolment rates at post-secondary institutions, particularly those outside of urban areas. Post-secondary institutions in Toronto aren’t expected to experience a downturn in student enrolments in the coming years. Martin Hicks, executive director of data and statistics at the Higher Education Quality Council of Ontario, does not predict the new funding model will create massive shifts in enrolment demographics at Toronto-based universities. And he cautions against too much focus on international students. “The more dependent you are on international students…the more exposed you are to the potential vulnerability to the international market, which can easily go south,” said Hicks. Hicks also isn’t confident the new funding model will limit the funding universities receive based on enrolment. “We had a corridor model much like this one back in the ’70s and ’80s” said Hicks. Back then, universities with high enrolment rates simply lobbied the government for increased grants, despite the restrictive funding model. Eventually, the province gave in.